We are proud to serve the local animal community and provide unmatched quality of care. Read on to learn more about East End Veterinary Center. East End Veterinary Center (EEVC) is a specialized emergency, critical care and specialty hospital for companion animals. We offer emergency treatment 24 hours a day, 7 days a week. During the day, the hospital also functions as a specialty care hospital where your pet can receive treatment from one of our specialists, as referred by your family veterinarian. 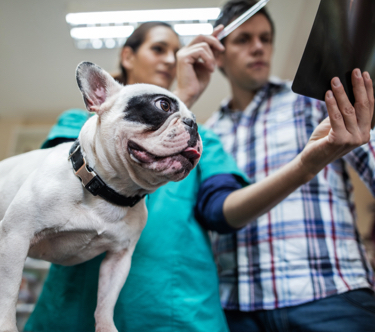 We are Suffolk County’s only VECCS (Veterinary Emergency and Critical Care Society) level II certified veterinary hospital, which recognizes facilities that meet and exceed their standards and guidelines for quality of care. We are also accredited by the Better Business Bureau. At East End Veterinary Center, the quality and compassionate care of your pet is our number one priority–we accept nothing less than the very best. From our state-of-the-art equipment to our highly experienced medical staff, we always strive to exceed expectations and offer your pet the treatment options that he or she needs, with the respect and compassion that he or she deserves. Not only is community involvement important to East End Veterinary Center as an organization, but it is also a passion for our staff. Take a look at our latest service endeavors and stay up-to-date on everything going on at EEVC!